The Victorian floral emblem, the Common Heath grows in heathland, shrubland or open forest as well as being a great plant for a garden. It is generally a small shrub around half to one metre tall, with small stiff leaves. At Candlebark we have both pink and white flowering forms that flower from late autumn to early spring. It is bird attacking and honeyeaters, particularly the eastern spinebill, feed upon the nectar of the flowers. 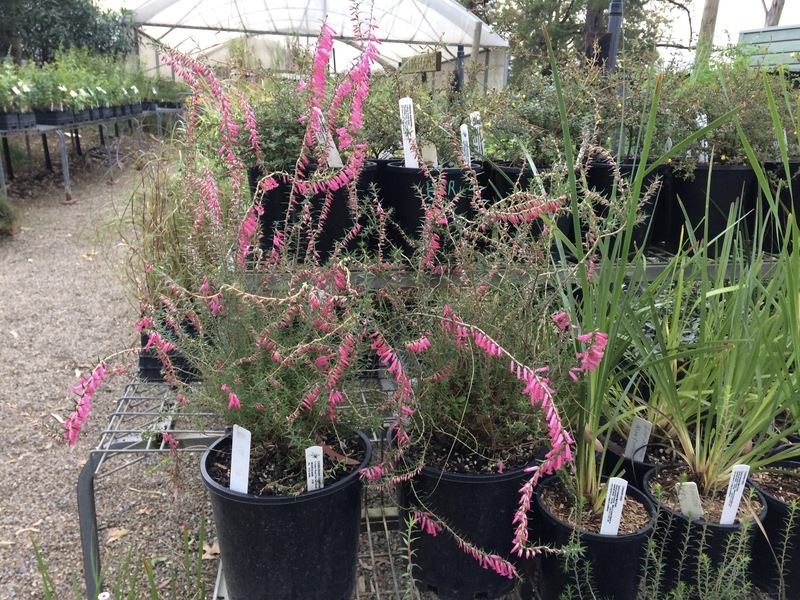 Our beautiful pots of Common Heath (Epacris impressa) are in full flower.